I need to start making jewelry again. It’s so fun. 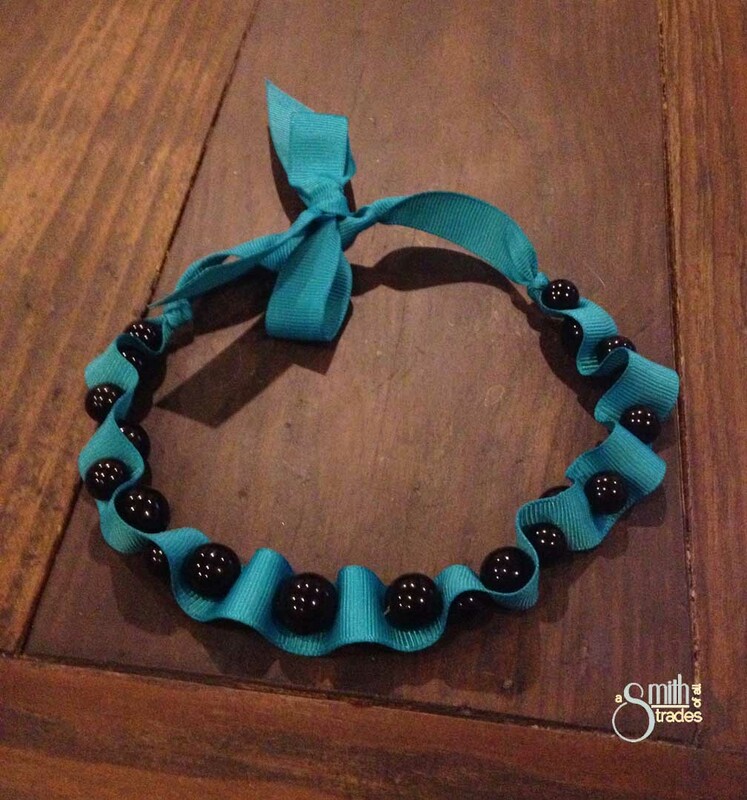 Last night I tackled making a ribbon and bead necklace using invisible thread and a few teal ribbons I had in my craft room. 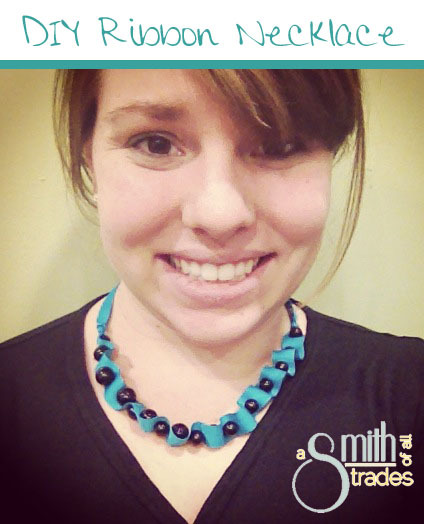 This craft is fairly easy, although keeping the beads tightly strung as you make the necklace can be a little tricky at times. 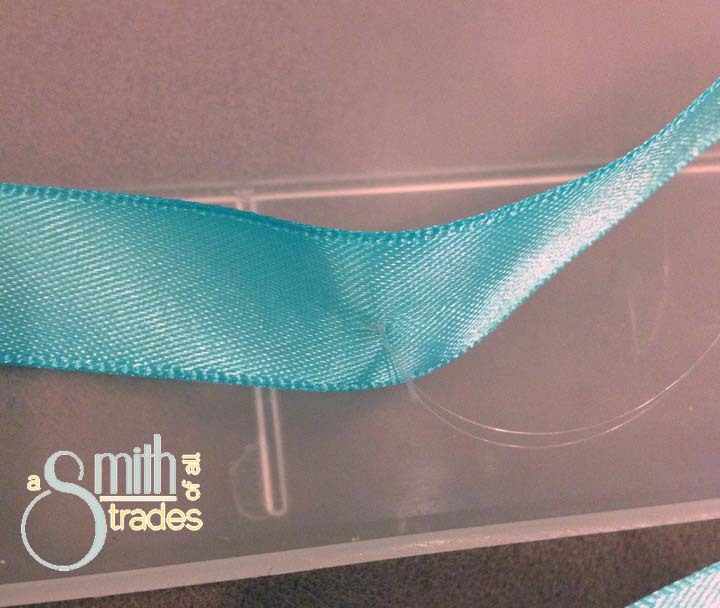 To start this project, I knotted some invisible thread onto the ribbon. I left a long piece of ribbon off to the side so I could have something to tie the necklace together with when it was complete. Then, I started to thread the beads. 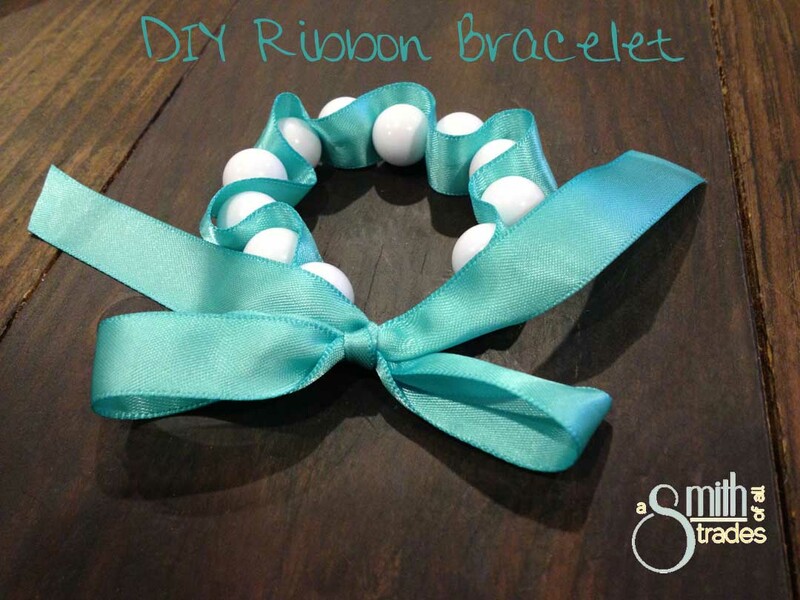 One bead, then a stitch through the ribbon. Bead. Ribbon. Bead. Ribbon. … Bead. 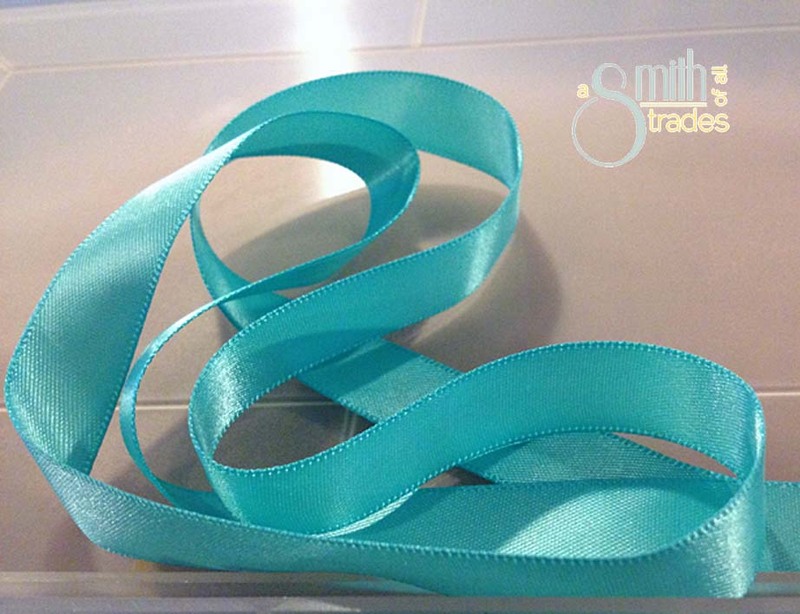 Ribbon…. you get the idea. 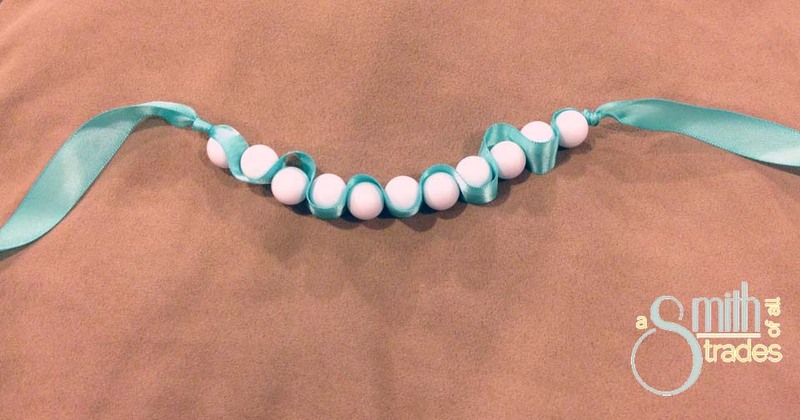 When I had the necklace as long as I wanted it, I tied the invisible thread in a few knots to secure the beads onto the ribbon. 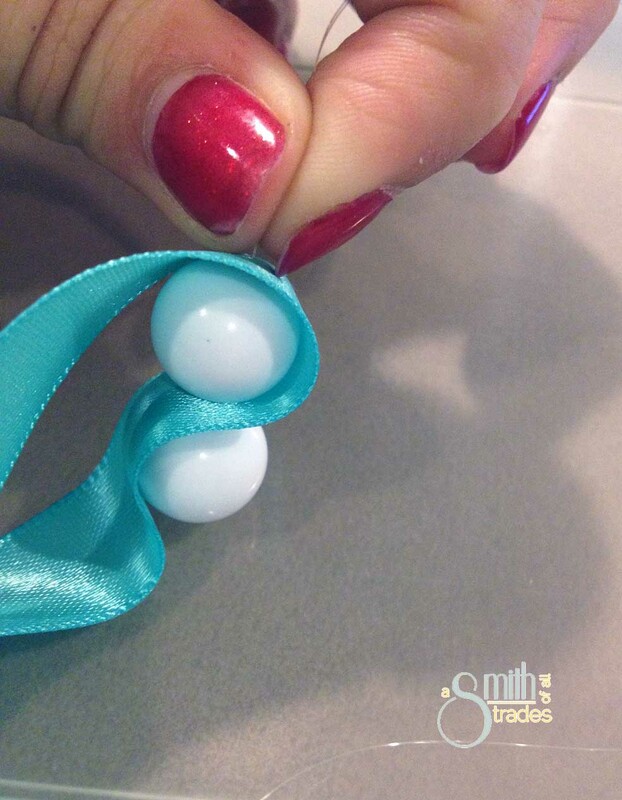 I also knotted where the ribbon meets the beads on each end. Just a personal preference. Lastly, I cut the ribbon ends at angles and added Fray Check to keep the ends from splitting. Once the ends were dry, it was time to try them on. They both turned out pretty darn cute. I’m gonna have to find some other colors of ribbon!